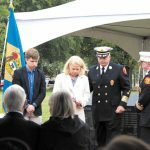 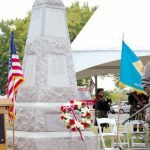 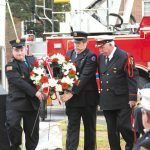 On October 20, 2018, the Delaware Firefighter’s Memorial was officially dedicated and the third try was the charm. 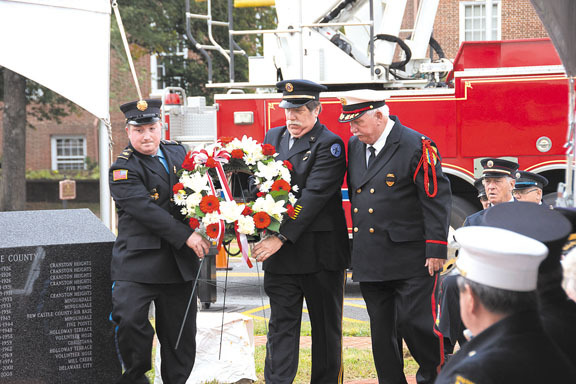 Twice before, attempts had been made but the weather refused to cooperate. 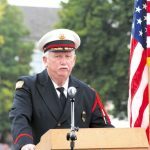 Lifting high above the overcast skies was a large American flag held in place by the tower ladder of the Lewes Fire Department and the tiller ladder of the Aetna Hose Hook and Ladder Company of Newark. 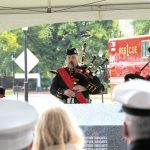 The morning dedication was started with the single bagpipe playing “343 – The Fallen” which brought the attendees to their seats. 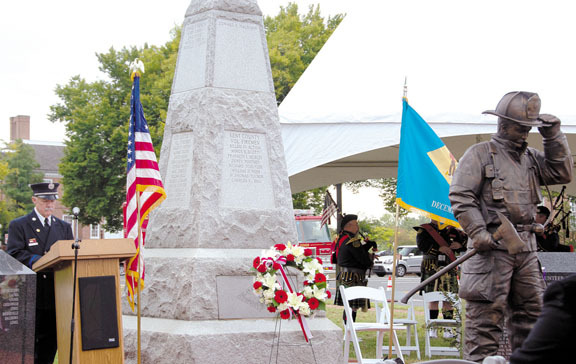 After the invocation by DVFA Chaplain Blake Bowers, DVFA President Bill Betts welcomed everyone and gave a brief history of the original monument and its final stop at this new place. 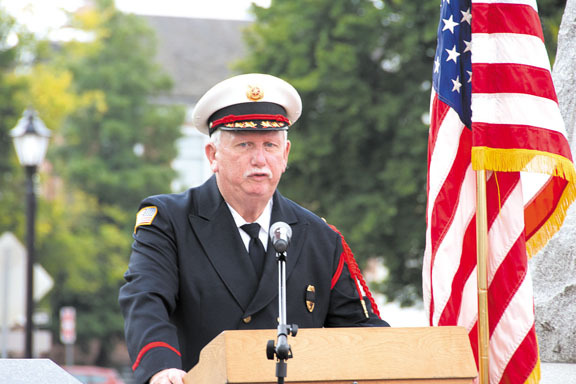 DVFA Executive Manager Warren Jones, introduced the guests who were in attendance as well the families of the firefighters who names were being unveiled. 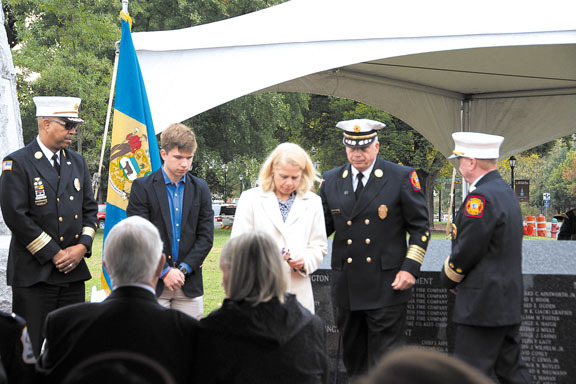 Also introduced were the families of the past firefighters whose names were already enshrined on the original monument. 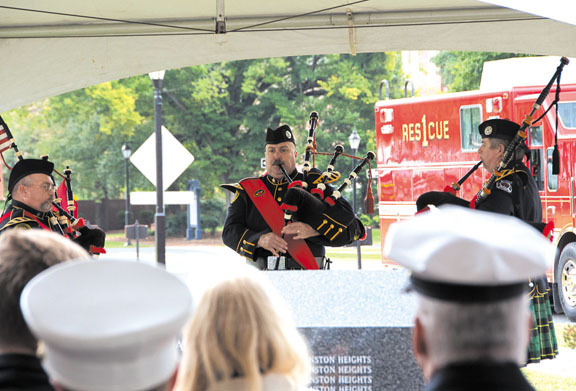 The ceremony was closed with the bag pipes playing “Amazing Grace” and the benediction by Chaplain Bowers.